1. The ratio of two numbers A & B is 12:13. 20 is subtracted from both the numbers and after subtraction the ratio changes to 2:3. Find the original numbers ? 2. Find the mean proportional between 16 & 25 ? 3. If 3,x,27 are in continued proportion then find the value of x ? 4. If X:Y = 5:6 and Y:Z = 7:8 then what is the value of X:Y:Z ? 6. A box contains fifty paise coins, twenty five paise coins and 10 paise coins in the ratio of 5:9:4 totalling to Rs. 206. Find the number of 10 paise coins present in the box ? 7. A mixture contains Milk and Water in the ratio of 4:3. 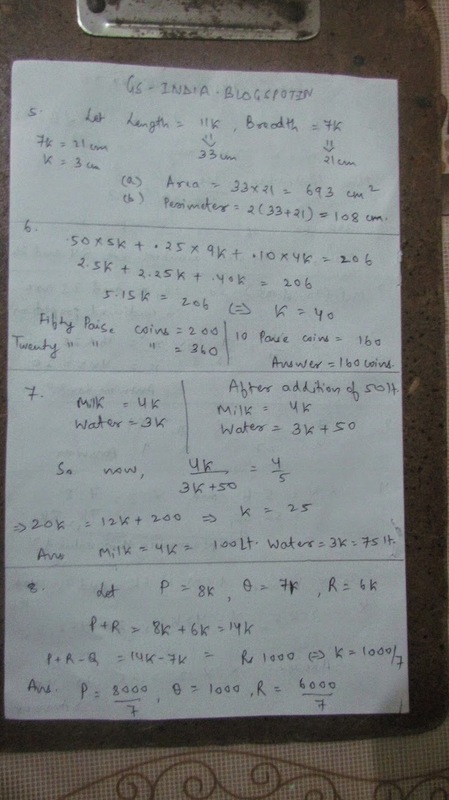 If 50 litres of water is added to the mixture the ratio changes to 4:5. Find the original quantity of Milk and Water in the mixture ? 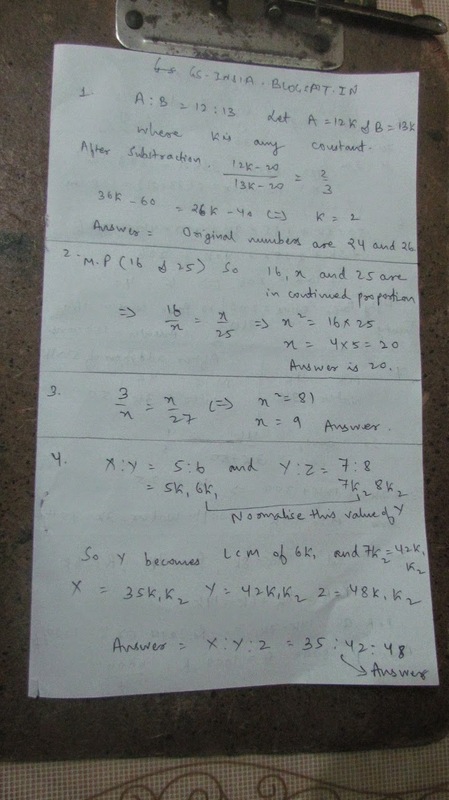 8.A certain sum of money is to be divided among P:Q:R in the ratio of 8:7:6. Now it was observed that after the distribution of money the sum total of the amount of money that P & R got is Rs. 1000 more than the amount of money that was received by Q. Then what is the individual amount that each of P,Q,R got ?